PEOPLE en Español magazine celebrated its annual “25 Most Influential Women/Las 25 Mujeres más Poderosas” edition this past October 16 at the beautiful Coral Gables Country Club in Coral Gables, Florida. 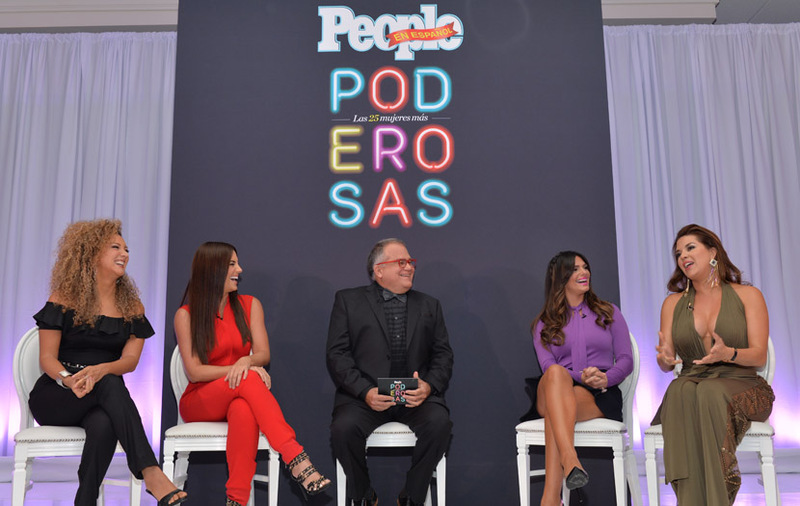 Mercury Mambo’s experiential team, along with Rayo Collective founder Mando Rayo, oversaw celebrity management, stage management and content creation for the star-studded luncheon and the new live empowerment event, “Poderosas Live!”. The celebration, in conjunction with the November issue, honors influential Latinas who are shaping the future and inspiring women every day. The glamour-filled day began with an exclusive luncheon honoring this year’s recipients. PEOPLE en Español Publisher Monique Manso and Managing Editor Amanda Correa hosted the A-list event in the morning, and in the afternoon the event was hosted by “Despierta América” host Ana Patricia. Special recognition was given to Erika Ender, creator of the Fundación Puertas Abiertas in her native Panama. This Foundation, which started in 2009, raises awareness about the eradication of child labor and supports underprivileged children and young people through free music and dance classes, so that they spend their time in positive activities. PEOPLE en Español presented Erika with a check for $5,000 for the Foundation. Music sensation Fantine captivated the audience with her fusion of indie and electric soul. The day wrapped with an energizing series of panel discussions and presentations hosted by Nuestra Belleza winner Ana Patricia. Ponderosa Live! was designed to honor women for their strength and determination outside of the realm of their celebrity. Click here for a full list of honorees: PEOPLE en Español.